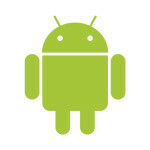 The android platform has a great collection of devices. Add to the fact that the platform intends to add more collections in their upcoming android phones; you can understand why it is one of the best platforms in the industry. The best android phone in the industry can introduce you unlimited possibilities if the device is rooted. 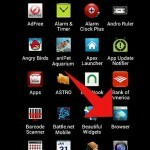 You can gain access to hundreds of android widgets or any other application for that matter with much ease. Have you ever wondered what really jailbreaking is? The process of jailbreaking allows to get rid of any limitations on your iOS device. 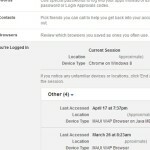 What this really means is that, as an iOS user, you can access settings that are normally deemed as off-limit by Apple. There is usually a catch with this. With every jailbreak, you risk making your warranty void. On the flip-side, the process tends to be reversed and undetectable. 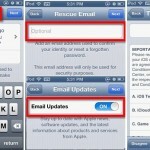 This piece will provide you with a free jailbreak manual that will help you with the process. The use of smiley faces while texting can drastically change the mood of a text. By simply adding a smiley face at the end of your text you can make a text that otherwise sounded rude appear friendly. Besides just altering the feel of a text, animated emoticons are also a beauty to have. These funny faces and icons can be used successfully to punctuate your text messages and help you with some expressions. If you did not know, these icons are commonly known as emoji. I once forgot my password and I can assure you that I did not like the experience. I was not able to log into my account to access my profile. Thanks to the password recovery option, I was able to successfully recover the lost password. It was relieving as I was sure that my account would not be hacked. The hacking of Facebook accounts has always been a problem amongst many Facebook users. 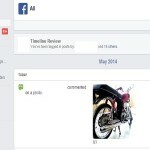 In as much as the Facebook deactivation process is easy to get done with, Facebook does make it easier for you to access the Facebook deactivation link. If you grow tired of your Facebook account, you need to make a decision on whether you want to permanently delete your account or simply go for a temporary suspension. 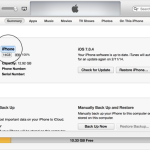 Now that iOS 5 is PC-free, changing the name of your iPhone, iPad or iPod directly from the device itself is possible. With the earlier versions, it meant that if you wanted to change iPhone name, you had to connect your device to your PC via USB, connect to iTunes or fighting sync then proceed with the name change. However, that changed with the introduction of iOS 5 and the latter version. It is now possible to change iPod name or your iPad name. You are only a few steps away from changing your device’s name!